VALIE EXPORT has achieved worldwide preeminence as a conceptual media artist, performance artist and video filmmaker. She was born in 1940 in Linz. This city has now acquired the VALIE EXPORT Archive and thus initiated the establishment of a world-class institution for research on media art and performance art, the VALIE EXPORT Center. The materials in this archive—project sketches and concepts, an extensive collection of photographs, films and videos, correspondence, and several works of art—will be entrusted to the LENTOS Art Museum. Research on them will be performed in cooperation with Linz Art University. 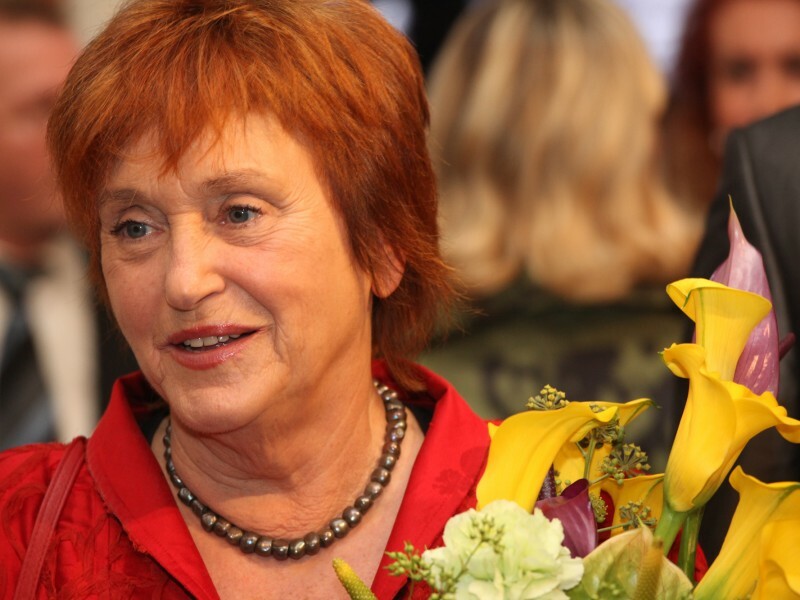 VALIE EXPORT speaks here about her feelings of connectedness to Linz City of Media Arts and her expectations of the VALIE EXPORT center. Have you followed Linz’s development into a City of Media Art over the years? VALIE EXPORT: When Ars Electronica was founded, I was spending most of my time in the USA so I wasn’t on top of things at the time this was going on. But I heard about it repeatedly, and I received invitations. In other words, I became aware that a major change was underway here. Be that as it may—it was rather quiet at the start. I guess it wasn’t until later that Ars Electronica really established a presence in the city. Nevertheless, I was pretty surprised that something like this could take root in Linz, in this industrial city, in this steel town. I mean, media—this is something completely different than the steel industry. You might have thought it would have been more likely that Linz could make a name for itself as a center of sculpture—like what Helmuth Gsöllpointner was trying to achieve with his students. This is more like what I would have expected—and, after all, there are so many available spaces in Linz. And there’s not only steel here; there’s stone as well, with many quarries in the immediate vicinity. The same goes for wood. Thus, a lot of different materials could have been used. I saw Forum Metall [opened on September 12, 1977] and then Forum Design —both exhibitions conceived by Helmuth Gsöllpointner. That was a real leap forward, both in an Austrian and a European context. Maybe these two exhibitions summoned forth innovative spirits, people who recognized that you could make something out of Linz—despite its past, its heavy historical baggage—something that looked towards the future. Forum Design was a gem. And still is a gem. The spirit behind it hasn’t disappeared, even if the exhibition itself no longer exists. The city is of perfect size, the location is just right, and the past is ideal in that it needs to be done away with. Back then, people must have thought: You could make something out of Linz. Plus, there’s the fact that the city is of perfect size, the location is just right, and the past is ideal in that it needs to be done away with. It’s a past to which something has to be juxtaposed, also in opposition to the artistic and cultural intentions it had then. This is when these movements took off. I believe that, in those days, Ars Electronica was really a great leap forward, just like the construction of the Brucknerhaus had been when it opened in 1974. After all, Bruckner was a clearly relevant Upper Austrian composer, one who’s interesting as a composer per se. And bringing music into a city is a major step forward in any case. As far as my personal development is concerned—one of the seminal experiences in my life was visiting the Neue Galerie when I was 7. In the Kubin-Kabinett, I first saw the drawings of Alfred Kubin, and revisited them many times. Kubin surely awakened my “feel” for drawing, for narratives manifesting themselves in drawings—by which I mean that he brought out in me what I would now call my artistic sensibility, my “love” for or of an artistic mode of expression. Nevertheless, I have to say that the artistic situation, the gallery situation in the 1950s and ‘60s was anything but inspirational. Is there a relationship between your work and what occurred at Ars Electronica? Did ideas that were discussed at Ars Electronica influence your creative endeavors? And now, your personal collection, your archive is coming to Linz. What sort of feeling is that? Linz is a good place at which to conserve and administer these materials. VALIE EXPORT: I’m delighted that this is happening because I believe that Linz is a good place at which to conserve and administer these materials. The decision that we reached together was based on a precondition on my part—namely, that this will be a research facility, the VALIE EXPORT Center. Once, years ago, there was a proposal to set up a museum like those that other internationally known Austrian artists have. But, for me, a museum has always been out of the question. I don’t need my works to be in a museum where, although they would be made accessible, research couldn’t be performed on them. In fact, research is precisely what I’m interested in—this output, and not an occasional exhibition, in whatever constellation. It’s clear that the works have to be exhibited, but an archive or a research center is a place to exhibit archival documents as well as works. The wonderful thing about this is that Linz was very supportive and immediately receptive to what I visualized. This is really beautiful for me. On the other hand, there’s a downside to this as well, the pain of separation, because then these things are gone, they’re somewhere else. Perhaps the fact that they’re somewhere else is the whole point, but they’re nevertheless changed as a result. They become different as a result of setting up the Center and how they’re perceived and received. For me, they were simply things that were safely stowed away in boxes, in files, in crates, in cases. They were there and have always accompanied me in this form. They were almost like my traveling companions, escorts on my artistic journey as well as my travels around the world. And now a new order is being imparted to them; they’re being presented differently; the reception of them is different; they’ll be configured differently. And I’m happy that I can still be involved in this. But by no means do I intend to intervene in the Center’s activities! How the works will be received and how the archive will be set up—this is very exciting for me! And another thing that I’m absolutely thrilled about is, of course, the fact that—and I don’t mean to blow my own horn here—Linz, with this acquisition, has taken a significant step towards a new, modern way of thinking, because archival documents and archived works by artists of my generation—and maybe of younger artists as well—are very important. And that an archive in Linz really assumes such tremendous significance and that there’s awareness of how to deal with these things—something like this comes along very seldom. I’m familiar with many archives and collections or archives in collections, also those in other countries—which is to say in the West; I’m not sure what the situation is like in Asia—that are not at all user-friendly. The works are held back; they’re not put on display and are hardly made available. Performing research on these objects is a very complicated procedure. In most cases, there’s also no corresponding administrative structure, which is, needless to say, a very important aspect of this. This isn’t how it is in Linz. For me, it’s very important that people get acquainted with the backstory: my biographical history, my artistic history, my intellectual history. And that people can also explore interconnections with other artists of the same epoch, artists of the postwar period. Although, of course, we in Europe were the only ones who had something like a postwar period, in contrast to the USA, where there was no postwar period. There were many contacts: Lots of people were doing the same thing, wanted the same thing, had the same ideas, and took the same approaches to the aesthetics of art and to the expansion of artistic genres and fields in the various media. And that applies to painting and sculpture as well, and thus not only to technical media. The beautiful thing about this is that anyone conducting research here will become cognizant of the strong international movements that existed then. And I’m a part of this and could contribute something to it. Considering the fact that Ars Electronica also has a huge archive, you get the impression that Linz is now actually becoming a city of media art archives! VALIE EXPORT: If the archives were then also located in really well-suited buildings where they could be administered properly … this is a huge gain for the capital city of a province—and one that’s situated on the banks of a river that comes from way up north and flows on and on across the continent, connecting so many countries along the way … that almost sounds a bit dramatic and kitschy! Magdalena Reiter: What can we do on behalf of Creativity?